The festivals in Germany are many and magical. Maybe it’s the wine…everything in my current neck of the woods, including the festivals, revolve around wine and the grape harvest. 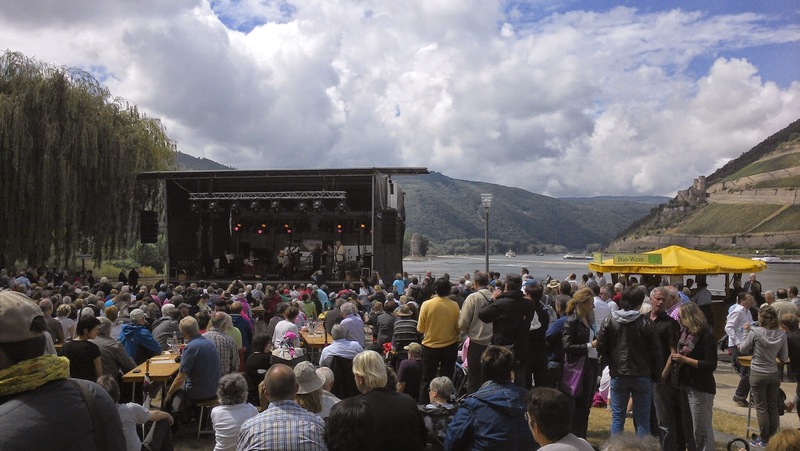 One of my favourite things to do in the Rhine Valley, or in Germany period, is to go to a fest! On the left side of the Rhine, in the middle of its long slithering path from south to north, there are some spectacular fests. Intimate gatherings around wine stands, crowds clustered in the dark shade of a castle with firey lightshows above or simple moments with families and friends spread out under a huge walnut tree in the midst of grapes. The year’s festivities always start with the craziness of carnival. Here on the left banks, in Rheinland Pfalz (Rhineland Palinate), for a couple of weeks in February it's as if the circus has come to town. 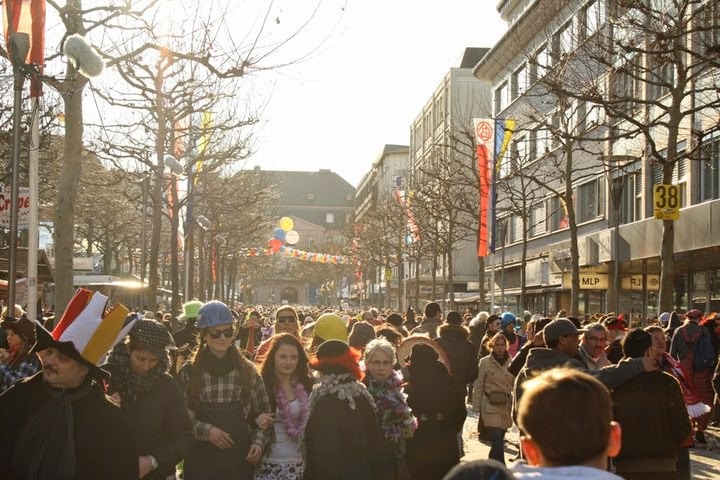 Parades, music, dancing in the streets, the random tossing of candy and streamers, costumes of every animal real or not, and the smells of French fries and bratwurst - this is Rosenmontag. 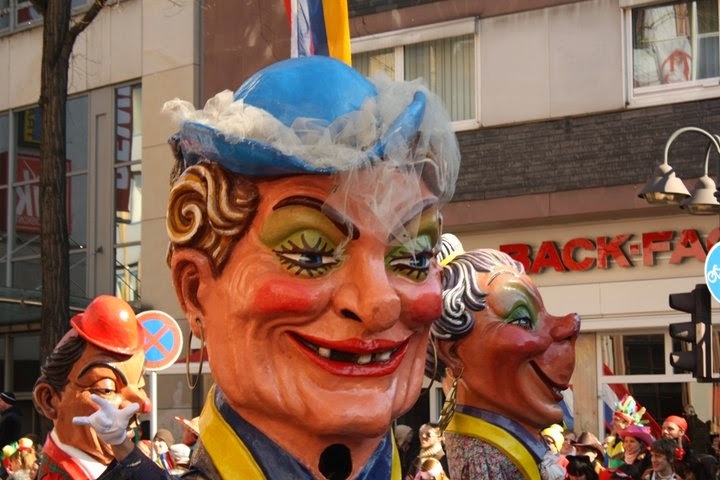 If you haven’t yet experienced the insanity, mayhem and fun of this day, then put it on your bucket list – Rosenmontag in Cologne or Mainz is FUN. Next opportunity for crazy: February 16th, 2015! 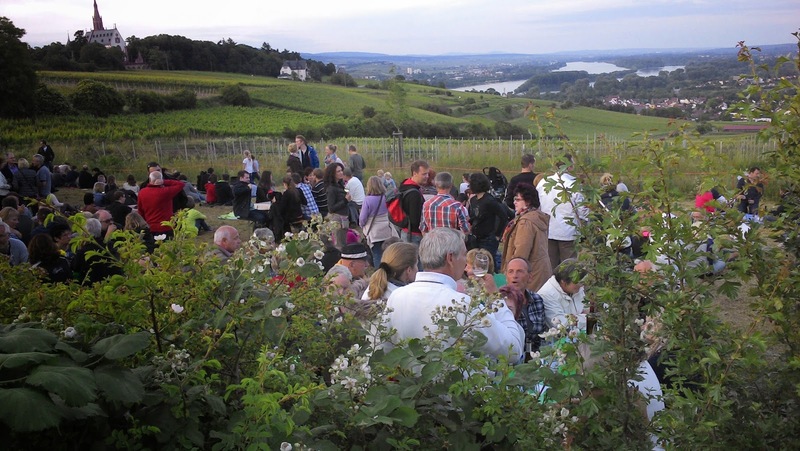 As regular as the seasons, the first true wine fest, and my personal favourite, is Nacht der Verführung (the night to be seduced…by wine of course) and happens in late spring. A small group of wine producers set up their stands underneath a massive walnut tree in the hills above Bingen, with rows of heavy grapevines as far as the eye can see. Overlooking the Rhine, spending evenings listening to local bands, while sipping new wines with friends you haven’t seen all winter, is a joy. Next seduction experience: June 4-6, 2015! As the summer settles in, it seems like every weekend a different wine producer or town has a wine fest. Rows of wooden tables are brought into the town square or family’s yard, people gather, wine flows and no one drives. Rieslings, Burgunders, Silvaners and Dornfelders - these are the favourites in this region and the wine families are as abundant as the grapes on the vines. 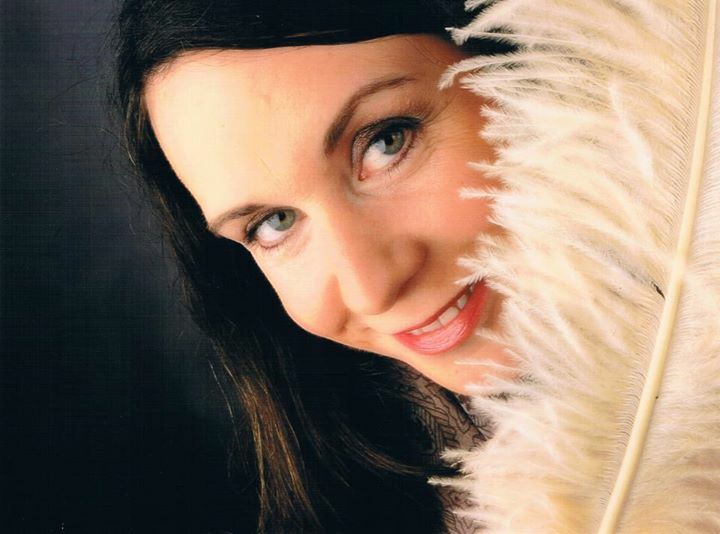 Sprinkled throughout the summer months, some beloved fests include Bingen Swingt, a jazzy celebration of musicians from all over the world. Stages are set up high on the castle lawn, down along the riverbank, and smack dab in the middle of town. On Sunday morning, the river carries black gospel choruses through the air from the stage where the Rhein and the Nahe rivers meet. Throughout the days and evenings, large and small ‘big bands’ trumpet and rock their tunes throughout the valley. Next swing’n good time: June 26-28, 2015! 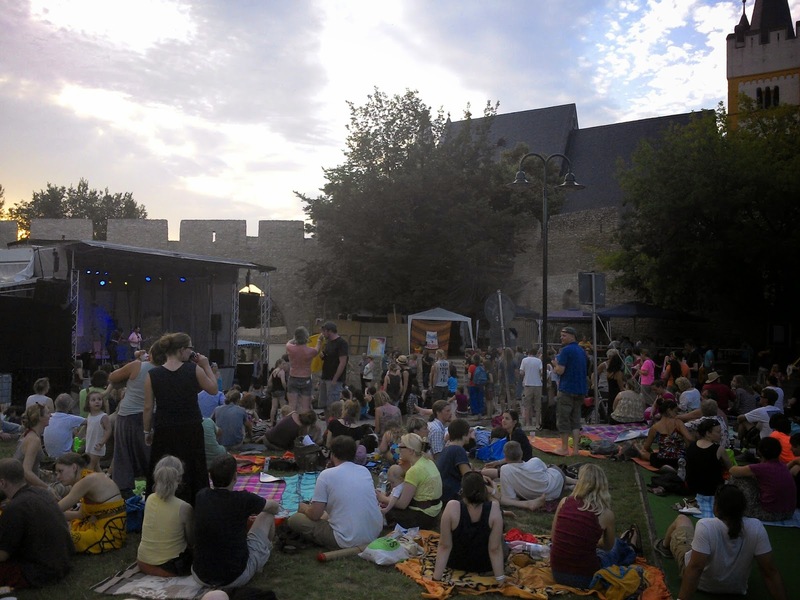 For more of a chilled, laid-back musical experience, check out Ingelheim's Eurofolk fest. This event reminds me of the supremely great folk festivals in Canada, except for the looming castle walls. Relaxed, zen, hippy, call it what you may, everyone is welcome to dance, hop, sway or groove - no one cares, just move. Wine is also available. At Eurofolk, I saw one of the coolest food kiosks ever. 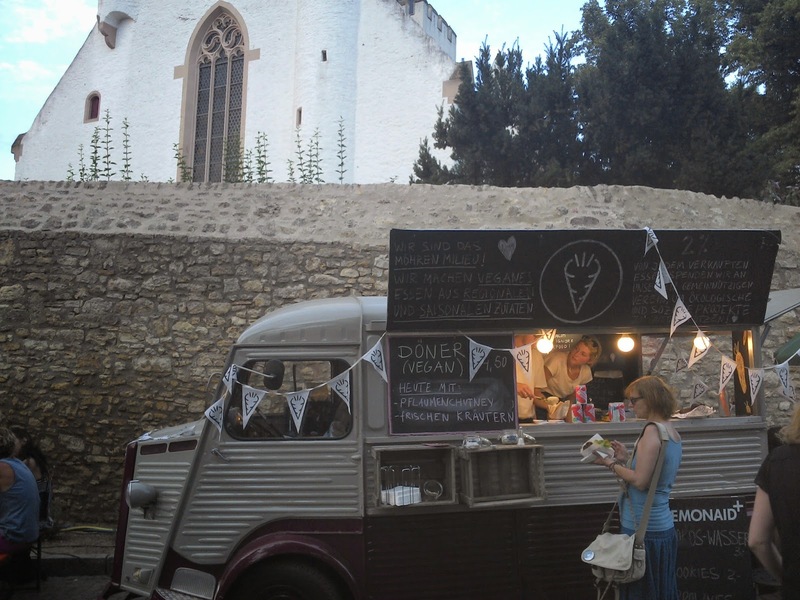 Offering vegan doner with plum chutney and fresh herbs, I wanted to move into this sweet foodmobile. Next folksy fest: July 10-12, 2015! 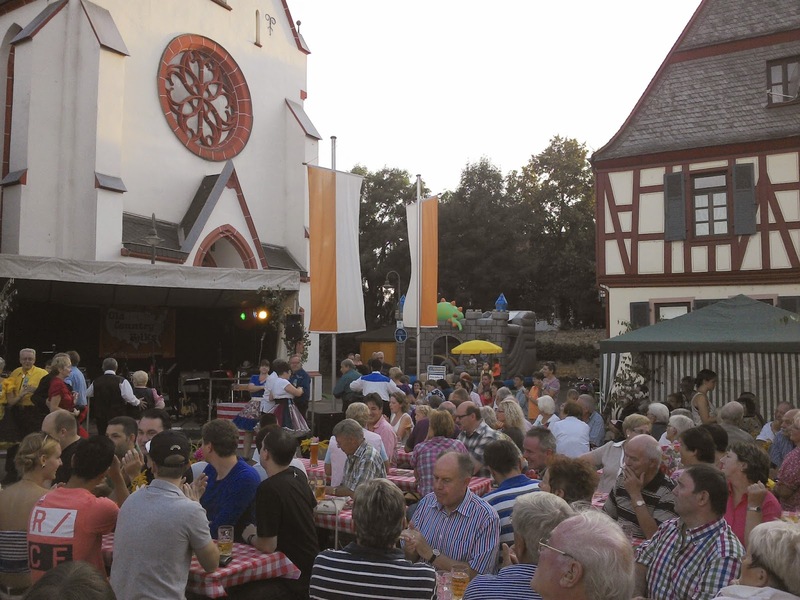 This area's biggest social and wine event of the season is the Bingen Winzerfest. Young and old(er) meet on the streets and town squares, have a drink or two together for eleven days of great wine tasting. Tour buses dump guests out by the hundreds and the herds of locals mix amicably with the tourists. Vintners have stands on what seems like every corner, inviting their customers from near and far to taste their newest bouquets. Winzerfest is when the homegrown kids come back to town to see each other again. It is one big reunion, which even the newbies can enjoy. Great guy spends all of his time reconnecting with old friends during this week. Winzerfest is like homecoming for the wine folks. Germans can do many things well, and fireworks are definitely one of those things. During the Binger Winzerfest there are no holds barred when it comes to fireworks. On the first Saturday and the Wednesday of the fest, the city puts on a spectacular event. With light cascading off bridges, fire spraying from the river, and explosions over the castle, people just stop, stand and gape. Next wine spectacular: Aug.28-Sept.7, 2015! 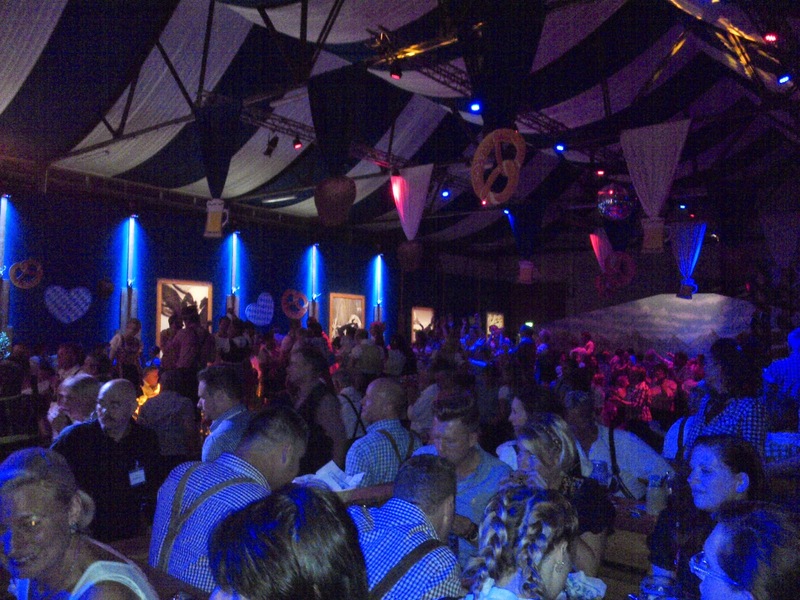 In all good conscience, I can't speak of fests without including the mother of all fests: Oktoberfest. 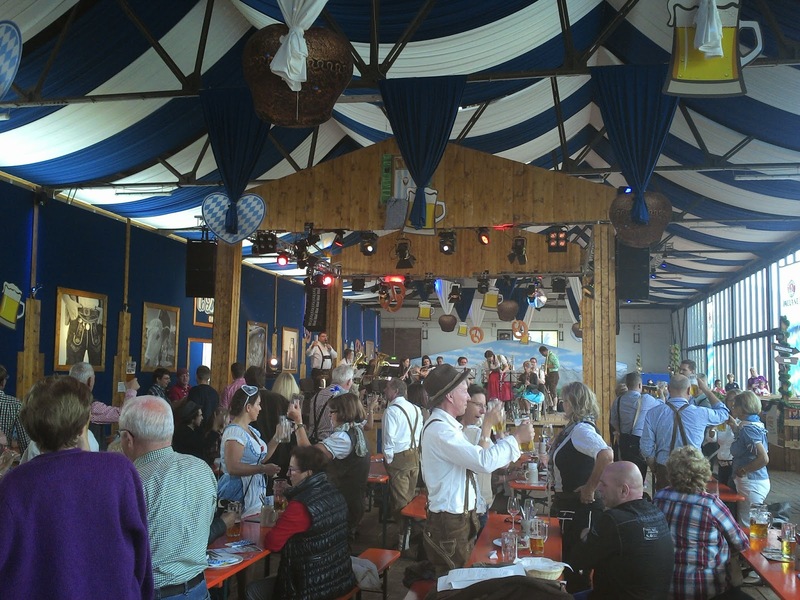 In every small and large town, in many corners of the world, the Münchener Oktoberfest has been recreated since its inaugural turn in 1810. The slight difference here, in the land of wine and more wine, is that Oktoberfest is celebrated with masses of beer (the litre steins) plus all kinds of wine! A cozy wine tent and wine stands abound for all of the diehard grape consumers. Dirndls and lederhosen, aprons and suspenders, schweinshaxen (ham hocks) and würstl (sausages), sauerkraut and pretzels - you might think it's all one big cliché, but oh is it fun. 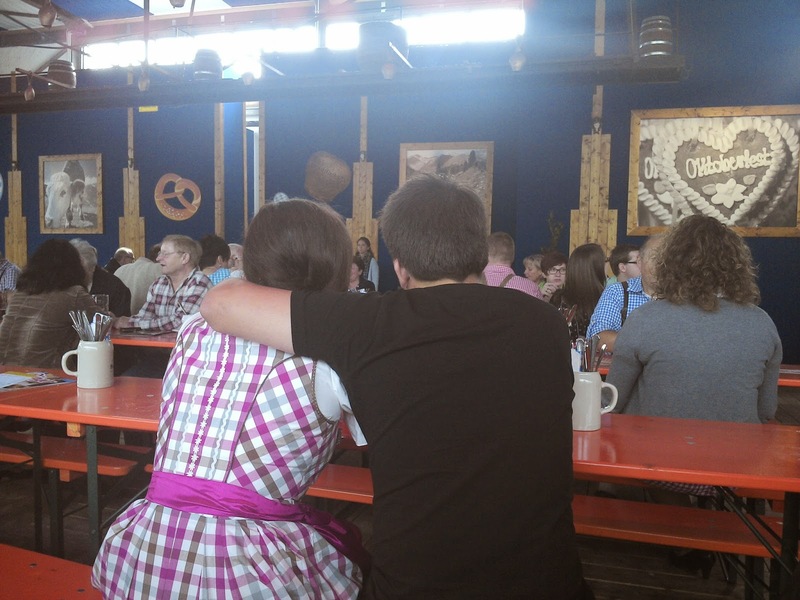 Whether in München or any other German town, the very best thing about Oktoberfest is that everyone sings and schunkels (sways to music with their arms entwined) together; young and old, cool and uncool, friends and strangers. Everyone knows the Oktoberfest songs and even if you live under a rock and don't know them, you soon will. Next time for ein prosit (cheers! ): October 2015 all over Germany! 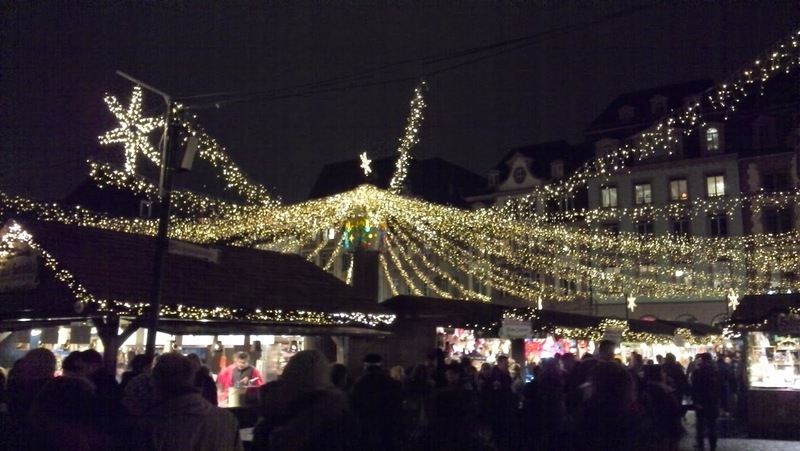 To cap the year off, the most romantic fest in Germany is the Weihnachtsmarkt (Christmas market). These winter fests, in the weeks leading up to Christmas, are an absolute must-experience. With stands of intricate woodcarvings, toasted almonds, and mulled wine, whether it's snowing or not, the magic of Christmas will wrap you up like a warm blanket. 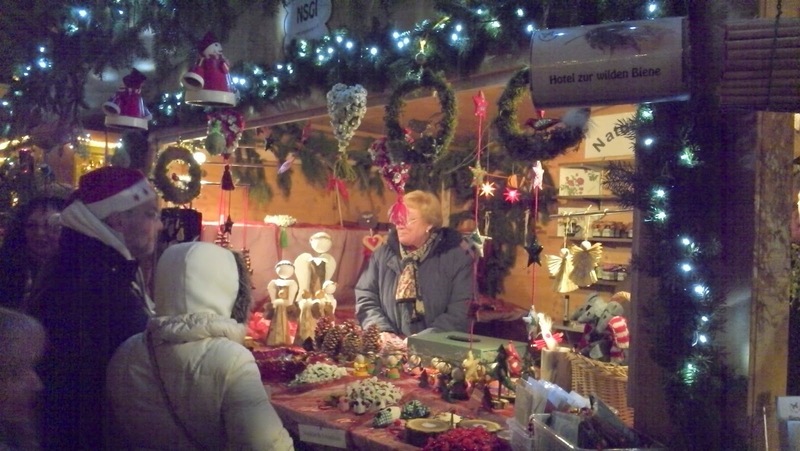 Christmas markets nestle into almost every town square in Germany; beneath cathedral domes, castle towers or under a blanket of twinkle lights. Some are themed with bright shooting stars overhead (Wiesbaden Sternschnuppenmarkt) or fairytale wonder (Oberhilbersheim Märchenweihnachtsmarkt) to greet the parka-clad guests. Next mulled wine: 8 days! Happy festing - Looking forward to seeing you!